Resist the urge to stop reading when you see the phrase “choice of laws.” There is an important choice-of-privilege-law issue brewing in the 9th Circuit that could have significant privilege repercussions in federal-court cases containing federal- and state-law claims. Still reading? Let’s discuss the situation in In re: TFT-LCD (Flat Panel) Antitrust Litig. (Sony Electronics, Inc. v. HannStar Display Corp.), No. 14–15916 (CTA9). Sony Electronics, Inc. possessed antitrust and related claims against HannStar Display Corporation (and others) arising from HannStar’s alleged conspiracy to fix prices and limit the output of LCD panels. Sony and HannStar participated in a pre-suit mediation where it appeared, through confirming emails, that both parties agreed to a mediator’s proposal of $4.1M. When HannStar later refused to pay the settlement amount, Sony brought federal antitrust claims and supplemental state-law claims, including a breach-of-contract claim for failing to adhere to the settlement agreement, in the USDC for the ND of California. When Sony settled similar antitrust claims against other, larger corporations, it dismissed its federal antitrust claims against HannStar, leaving only a state-law, breach-of-settlement-agreement claim. The ND Cal. originally had federal-question jurisdiction because of Sony’s federal antitrust claims, but that jurisdiction evaporated when Sony dismissed its federal claim. The court recognized that diversity jurisdiction also existed and permitted Sony to amend its complaint to drop its federal claim and allege diversity jurisdiction for its state-law claim arising from HannStar’s alleged settlement breach. Evidence Problem—How to Prove the Settlement Terms? Sony sought to prove the terms of the settlement agreement through the lawyers’ emails to the mediator accepting his $4.1M mediator proposal. The question arose whether a mediation privilege precludes the emails’ admissibility, thereby robbing Sony of any evidence to prove the settlement-agreement terms. 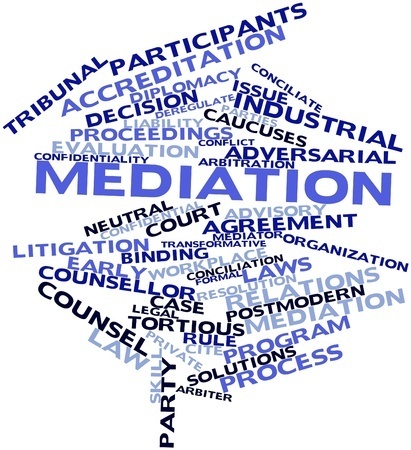 California Evidence Code § 1119 provides that writings prepared pursuant to a mediation are inadmissible and nondiscoverable—effectively a mediation privilege. The 9th Circuit has not adopted a federal common-law mediation privilege, and California federal district courts disagree whether a mediation privilege exists under federal common law. Compare Folb v. Motion Picture Ind. Pension & Health Plans, 16 F. Supp. 2d 1164 (C.D. Cal. 1998), with Molina v. Lexmark Int’l, Inc., 2008 WL 4447678 (C.D. Cal., Sept. 30, 2008). The issue, therefore, is whether California law, which recognizes a mediation privilege, or federal common law, which arguably does not, controls the discoverability and admissibility of the lawyers’ emails to the mediator accepting his $4.1M proposal. The 9th Circuit has held that, under FRE 501, federal privilege law applies where both federal and supplemental state claims are present, Agster v. Maricopa County, 422 F.3d 836, 839 (CTA9 2005), and that state privilege law applies in diversity cases. In re Cal. Pub. Utils. Comm’n, 892 F.2d 778, 781 (CTA9 1989). This case, however, presented a tricky situation. Sony’s original complaint contained both federal- and state-law claims, which would have required application of federal privilege law and a likely finding that the lawyers’ settlement emails were discoverable and admissible. But Sony dismissed its federal-law claim, leaving only a state-law, breach-of-settlement-agreement claim. So, the court should apply California’s mediation privilege, right? Not so fast, my privilege friend. While the trial court thought so, a 9th Circuit panel disagreed. In a 2–1 decision, the panel ruled that federal privilege law applied because the pre-suit settlement discussions pertained to potential federal- and state-law claims and Sony “initially filed suit under both state and federal law.” (emphasis added). In re TFT-LCD (Flat Panel) Antitrust Litig., 835 F.3d 1155 (CTA9 2016). You may read the decision here. The majority recognized that Sony later dismissed its federal claims, but stated that “the eventual dismissal of federal claims does not govern whether the evidence related to federal law.” The court focused on the evidence (mediation emails) rather than the claims pending at the time it made the choice-of-privilege-law decision. The majority relied upon the 9th Circuit’s decision Wilcox v. Arpaio, 753 F.3d 872 (CTA9 2014), noting that Wilcox “clarified” the choice-of-privilege-law issue where a party files a state-law, breach-of-contract suit over the settlement of federal- and state-law claims. In Wilcox, a decision that I reviewed in this post, the 9th Circuit ruled that federal, rather than Arizona, privilege law governed the discoverability and admissibility of mediation emails in support of a breach-of-settlement-agreement claim. Unlike In re: TFT-LCD, the Wilcox case contained both federal- and state-law claims at the time the court made the choice-of-privilege-law ruling. The TFT-LCD court correctly quoted Wilcox’s language that federal privilege law applies where “the same evidence relates to both federal and state law claims.” The majority, however, did not address the significant distinction that Wilcox involved pending federal and state claims while TFT-LCD involved only a state-law claim. HannStar filed a petition seeking an en banc review, and you may read its brief here. The TFT-LCD opinion raises several important questions. Is it the putatively privileged evidence or the pending claim that governs a choice-of-privilege-law question? 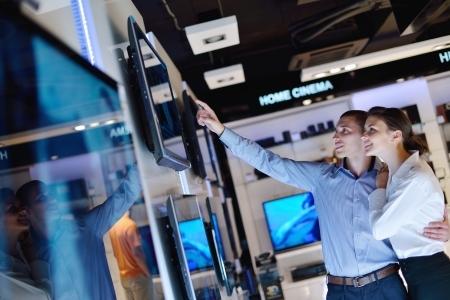 Is the TFT-LCD opinion limited to just the mediation privilege? 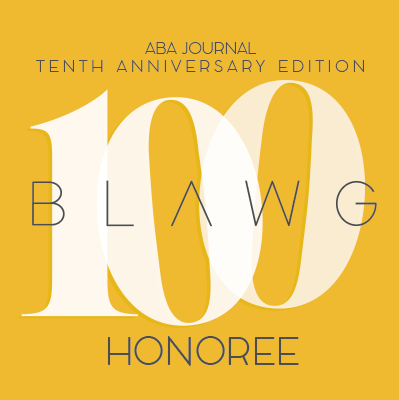 One can envision this rule’s application in cases where federal law does not recognize a privilege but state law does, such as the accountant–client privilege, the peer-review privilege, or the physician–patient privilege. If Sony had not voluntarily dismissed its federal claim, then this issue would have never arisen—but should a strategic decision to dismiss a federal claim dictate the choice-of-law question, or does that invite distasteful forum shopping? My interest is purely academic, but I hope the full 9th Circuit grants an en banc review and provides a thorough opinion on these issues. Otherwise, the TFT-LCD opinion may engender confused rulings in the 9th circuit and beyond.